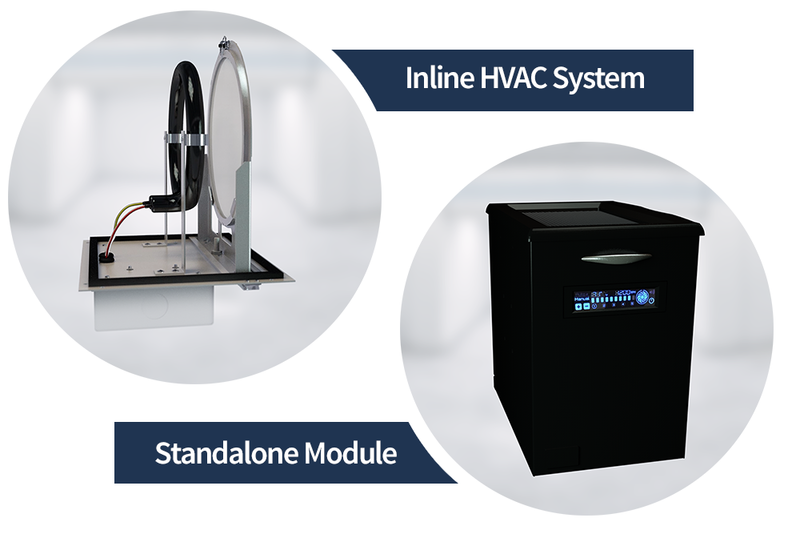 Synexis™ Microorganism Reduction systems can be deployed stand-alone or in existing HVAC systems. Dry Hydrogen Peroxide (DHP) is effective against unwanted microorganisms that are generally susceptible to other forms of Hydrogen Peroxide. Although the Synexis™ Microorganism Reduction Systems have been shown to be effective against specific microbes on which it has been tested, Synexis LLC makes no claim of total disinfection or decontamination of all forms of bacteria, viruses, fungi, mold, and new resistant strains. Synexis LLC is continuously testing our systems against a wide spectrum of microogranisms. Please contact us for more information and if your organization is interested in performing tests against a specific microbe or environmental condition. Synexis Systems are regulated by the US Environmental Protection Agency and state governments as antimicrobial devices. Accordingly, our Systems are produced in an EPA-registered facility and packaged and labeled in accordance with EPA regulations appearing at 40 CFR 152.500. © Copyright Synexis. All rights reserved.